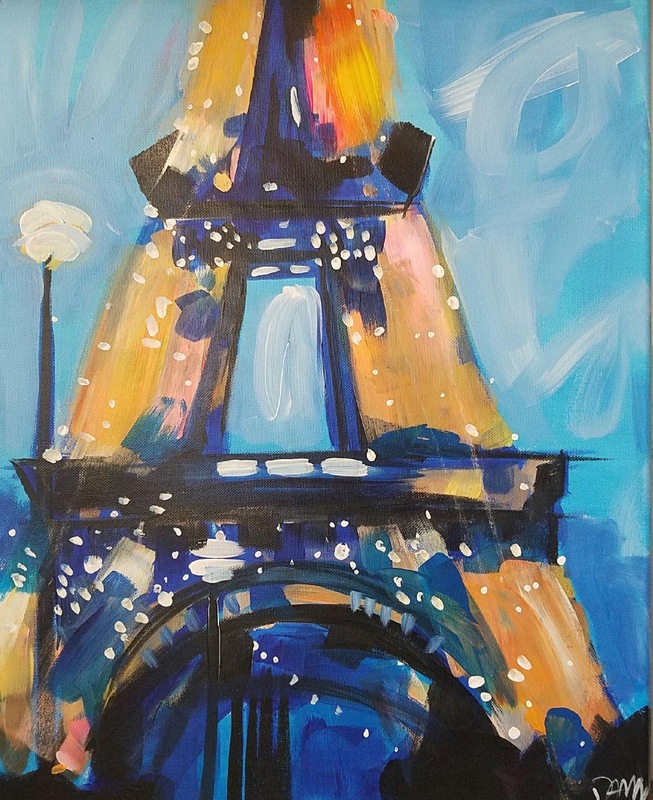 Enjoy the night with a Parisian painting experience. This is a 2 hour class where we walk you through step-by-btep. No skills needed, everyone is welcome. We provide everything you need in the studio. Take your painting when you go! Call for group reservations.